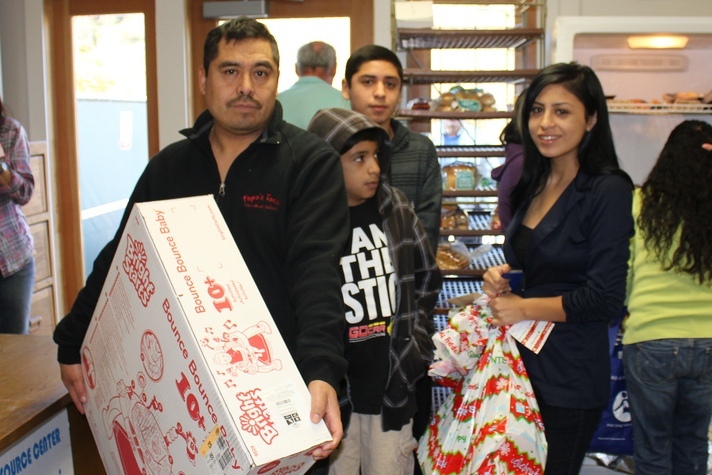 FOOTHILL RANCH, California – January 3, 2012 – As part of its ongoing commitment to give back to the communities and families it serves, Smart Circle® International is pleased to announce it has donated food, toys and clothing to 17 needy families in the Orange County area. Earlier this month, the referral-based marketing leader teamed up with the Laguna Relief and Resource Center to adopt 17 of the estimated 100 families in the center’s Annual Adopt-A-Family program. The company hosted an in-house toy drive and supplemented employee contributions to bring each family a brighter holiday season. Smart Circle collected dozens of toys and gifts from employee contributions to the in-house toy drive at its headquarters in Foothill Ranch. Contributions ranged from necessities such as school supplies, pots and pans, and clothing, to remote control Hummer cars and helicopters. The company supplemented the employee donations to fulfill the remaining wish lists, purchasing everything from train sets, jewelry and digital cameras, to clothing, Razor scooters and an ExerSaucer for one of the youngest family members. In addition to the toy and gift requests, Smart Circle provided each family with a $75 gift card to purchase groceries, and a $125 gift card to purchase new clothing and personal items from Target. 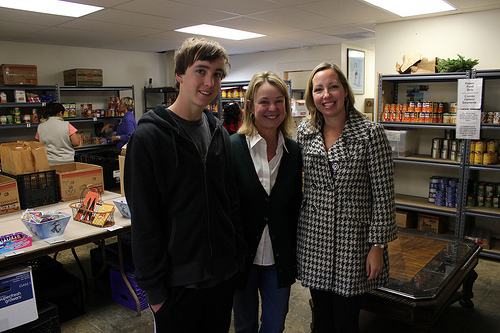 The company delivered presents for the majority of families directly to the Laguna Food Pantry in Laguna Canyon, which provides food, clothing and referral services for families who live and work in the South Orange Country area. For families who were unable to make the trip to the Pantry or lived a significant proximity away from the Center, Smart Circle employees delivered the presents personally to their houses. Since delivering the presents, Smart Circle has received several cards and notes expressing gratitude from the children and families. Jesus Jr., 11, handed a Smart Circle employee a card that read, “Thank you for making this Christmas one of the best ones, and for the Christmas presents.” Another child, Vanessa, 9, wrote, “Thank you for making my Christmas special.” Siegenfeld reported that many of the families brought in homemade tamales for Smart Circle and the employees at the Food Pantry to show their appreciation. The holiday “Season of Giving” may be coming to a close, but Smart Circle’s charitable efforts will continue far into the New Year. The company provides generous donations and matching employee contributions to local and national foundations and non-profits throughout the year. By hosting toy and food drives and offering matching contributions to donations, the company hopes to inspire the spirit of giving and community involvement in its employees, and foster an environment where charity is encouraged and admired. Since 1993, the Laguna Relief and Resource Center, also known as The Laguna Food Pantry, has provided support services and emergency need to low-income and homeless families in Laguna Beach in a way that encourages self-sufficiency and inspires independence. 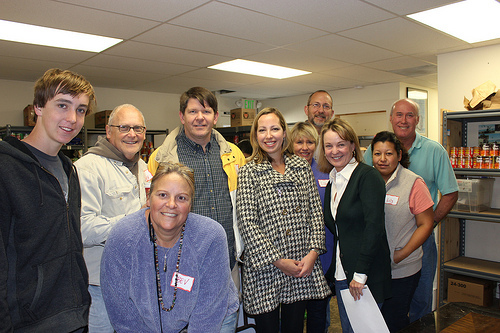 The Center annually sponsors and supports an Adopt-A-Family program for local families who live or work in Laguna Beach, as well as a year round Food Pantry and Resource Center five days a week. The families matched with Smart Circle all resided close to the company’s headquarters in communities such as Lake Forest, Laguna Hills and Mission Viejo. To learn more about Smart Circle’s Adopt-A-Family initiative, see Barbara Diamond’s article “Christmas Cheer Comes to Adopted Families” in the Coastline Pilot. Smart Circle was also featured in Laguna Food Pantry’s “Thank You” ad in Stu News Laguna (http://stunewslaguna.com/), a local Laguna Beach newspaper. Since 1989, Smart Circle has been the dominant force in referral marketing worldwide. Major companies across a number of industries, including consumer products, electronics, gourmet and specialty foods, home improvement, salons and spas, professional and independent sports teams, restaurants and area attractions, turn to Smart Circle International to build traffic, enhance brand loyalty, fill unused capacity and generate new customers. Smart Circle International reaches consumers face-to-face through its retail, event and community marketing networks. Smart Circle® International and The Smart Circle® are trademarks of Smart Circle International, LLC.